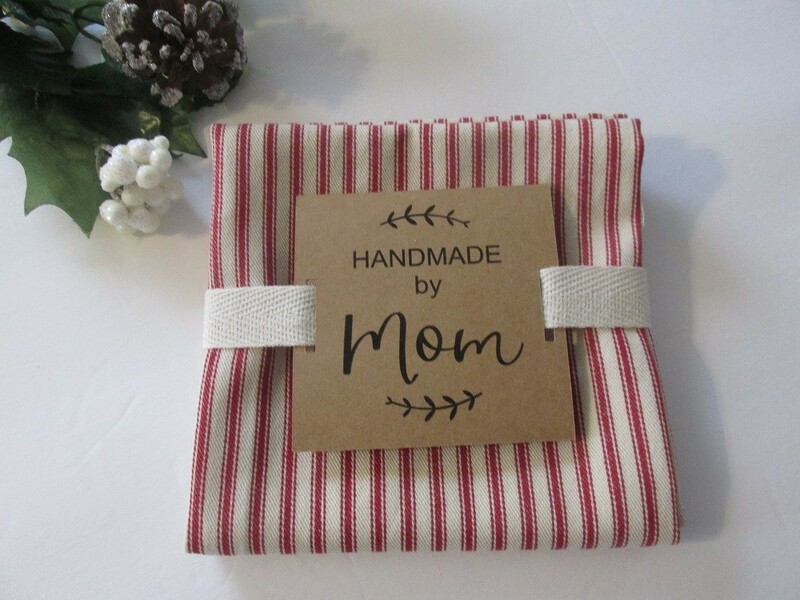 Farmhouse ticking strip tea towels make a quick and easy gift any time of the year. 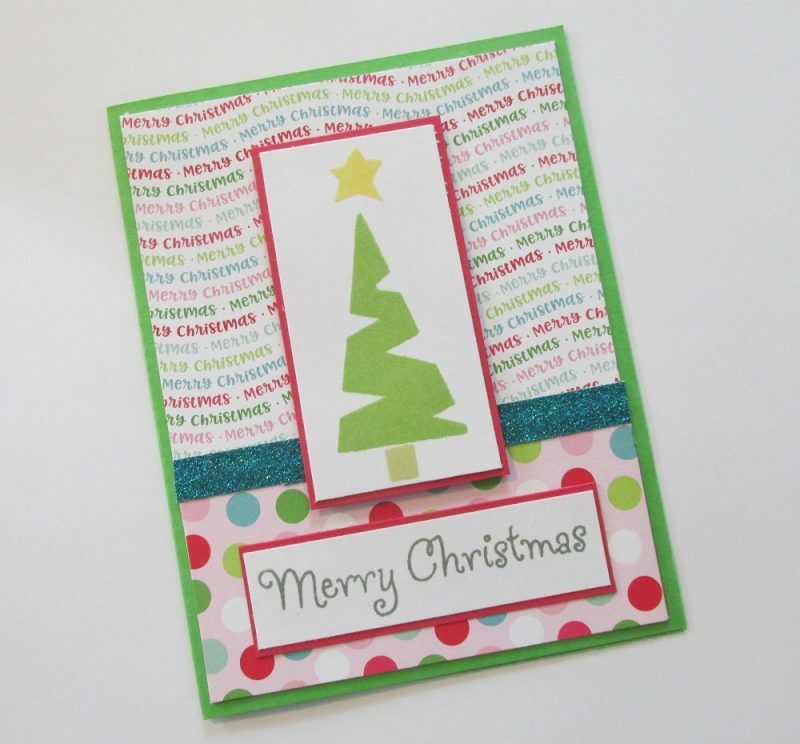 Join me today for this quick photo tutorial as I sew one of these for the holidays. I grew up calling these dish towels, but I know that in other parts of our world, they are called tea towels. I lived in the southern USA for a little while and where I lived they were called tea towels. 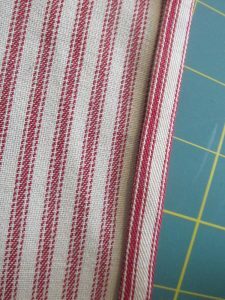 What matters today, however, is that I’m going to show you how you can sew up a ticking stripe farmhouse tea towel, or dish towel of your own. 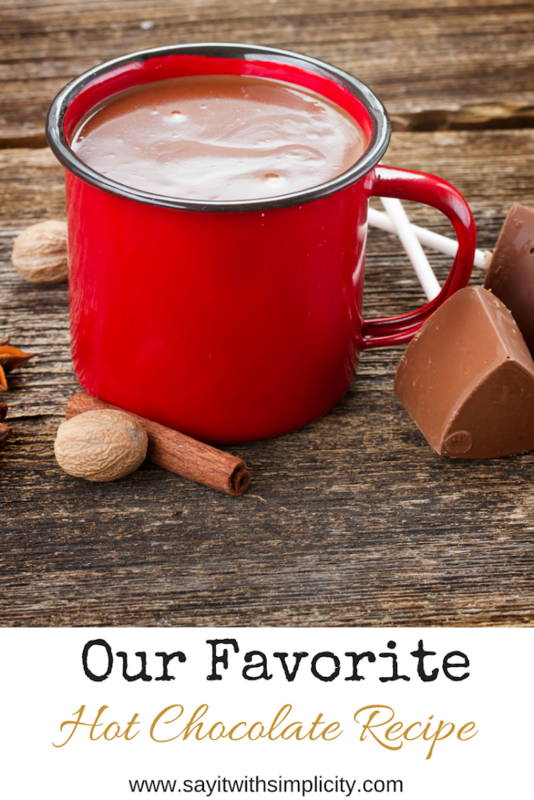 If you like farmhouse style, these would be great for decorating over the holidays. They also make neat gifts. 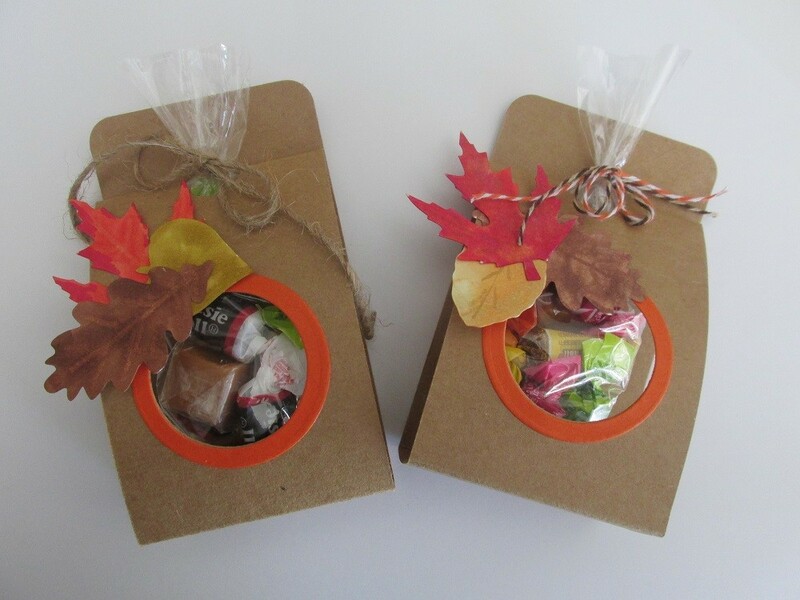 Plus, I’ve included a cute and professional way to package these if you want to use them for gift giving or even if you want to make them for craft fairs and shows. 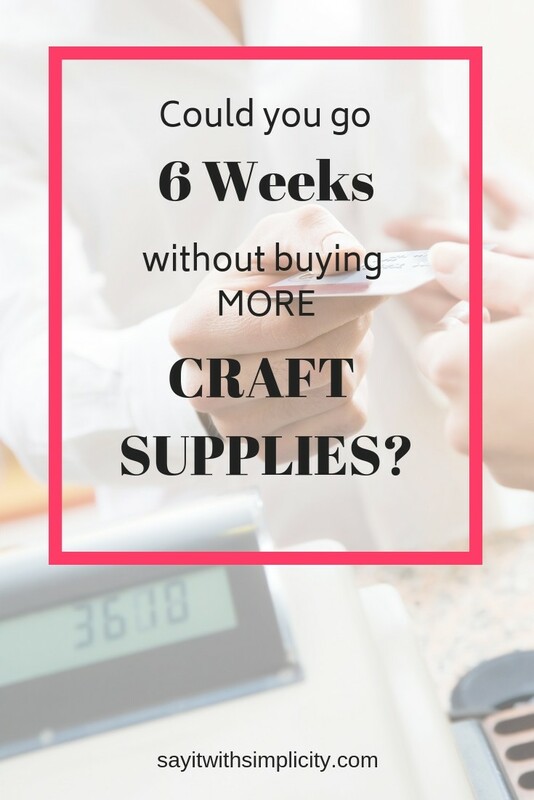 You’ll also need your iron and other notions that you would normally use in your sewing room. I used my walking foot for this project. It isn’t essential, but it made a nice finish and I was glad I did. I cut my fabric at 19 inches wide, by 28 inches long. Maybe there are more specific measurements, but I laid down one of my tea towels and went from that. I have a little confession to make before I start the tutorial. This red ticking stripe has been in my stash at least a couple of years. I had purchased it at Joann Fabrics with a coupon and I’ve made several things with it in the past. Before writing this tutorial I checked online. They still have it. Yes, this is exactly how it looked when I pulled it out of my stash. I keep my fabric in totes and it was just a bit of a mess. It’s going to look a whole lot better when we get done. 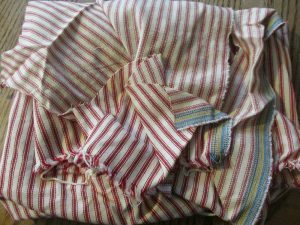 Hopefully your fabric doesn’t look like this. I did a bit of ironing to prep my fabric for this project. 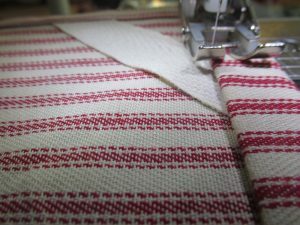 After the fabric is prepped and cut, fold over 1/4 inch from the edge, and then fold it over again, toward the wrong side of the fabric. Press it into place. 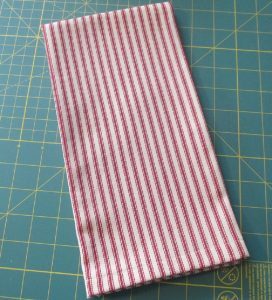 This is super easy on this striped fabric. You really can eyeball this process, but you can measure this if that’s more comfortable for you. Sew along the inside edge. I didn’t photograph this step, but if you sew, you’ve got this figured out already. 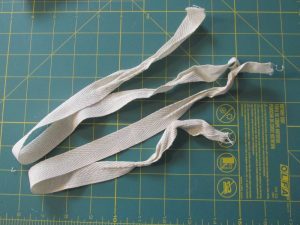 Now that you’ve sewn one side, you’ll sew the other vertical edge and add a twill tape loop. Adding twill tape for hanging your towel. Now this is one of those things that you don’t absolutely have to do, but I really think it adds a nice touch. If you do this, your friends and family are going to think your telling fibs about this being handmade. They’ll think it flew into your cart while your were out shopping. You can buy this twill tape, but if you’re a hoarder like me, you might just have some around. When I get a product wrapped with twill tape, I always save it. It’s awesome stuff! Why throw it out? Now that your starting to wonder if I’m for real…back to the tutorial. You’re working on sewing your other edge now. I’ve cut the twill tape at an angle and inserted it in the the narrow edge before I sewing it. Using a pin will help to anchor it. I also wanted to check to make sure I had enough and so I folded over the top, horizontal width of the towel so that I could see how it would all fit together. The top and bottom edges of the towel are folded and pressed at 1/2 inch and then folded over again at 1/2 inch. 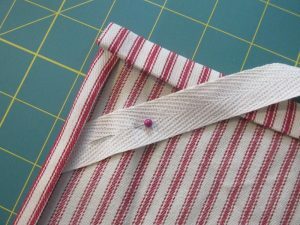 Making sure your tape stays tucked in, sew down the long edge of your farmhouse tea towel. Now trim the tape to fit in the top edge of your towel. 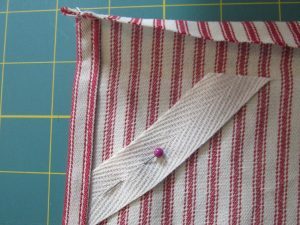 Sew across the top of the towel. Be sure your twill tape is tucked in. Now you should have both side edges and the top edge of your towel finished. 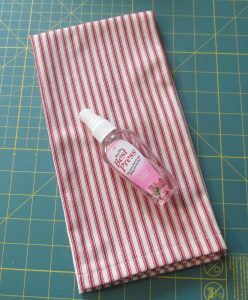 Go ahead and fold over the bottom edge of your towel, 1/2 inch, then again at 1/2 inch and sew. Your farmhouse tea towel is finished and ready to use in your kitchen. To make the project look neat and professional, I used a few sprays of Best Press. This is a sizing for ironing that is just super awesome for getting our stubborn wrinkles. It’s a recent discovery for me, but I love it. Since I’m giving my towel as a gift, I decided to wrap it up a bit more. I folded my towel in thirds the long way. Then I folded in half and folded in half again. My Silhouette Cameo came in handy for the label. I designed a little print and cut, and tied it all up with my left over twill tape, hiding the knot behind the label. See, I told you that twill tape would come in handy! This farmhouse tea towel turned out adorable. 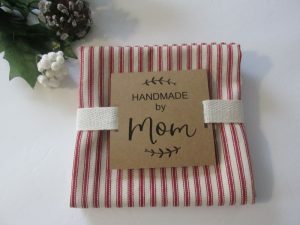 The red stripes will look great for Christmas, and even Valentines Day and into summer. I think I’ll give it to one of my daughters for Christmas. Thanks for joining me today on Say It With Simplicity. I hope you’ll grab some of your stashed supplies and make something special for your home and family. 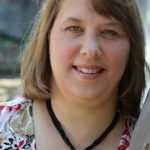 *This post contains an Affiliate Link to Amazon. I only link to products that I love and recommend to others. 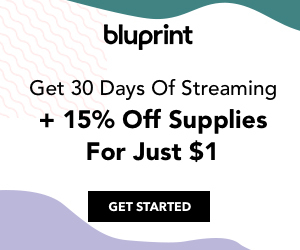 If you use my link, I get a Small commission at no additional cost to you.